Auburn Avenue’s Issue II feature’s a new short story by Wanjiku wa Ngugi called “Hundred Acres of Marshland”. The theme of the issue is “Life Imitating Art | Art Imitating Life”. To read the story, click on the link above. 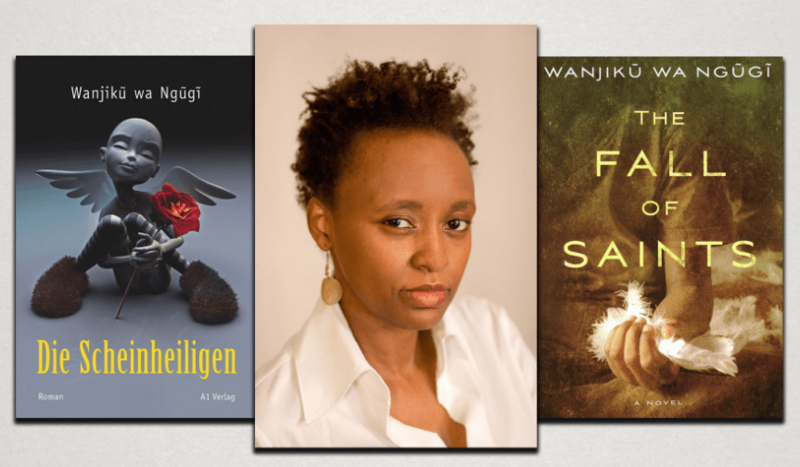 Wanjiku Wa Ngugi is the author of The Fall of Saints (Atria Books, 2014). Her short stories and essays have been published in Wasafiri Magazine, The Herald (Zimbabwe), The Daily Nation & Business Daily, Pambazuka News, and Chimurenga, among others. She comes from a family of writers, her father is the legendary Ngugi wa Thiong’o and her brother is poet and author Mukoma wa Ngugi.